Local turkeys sold out this year up in Wendell. At over $3 a pound, it's hard to believe that fowl such as this would be in such high demand. But there's a reason to pay top dollar and there's a reason you're eating Butterball. Tom, a turkey from Wendell, agreed to talk turkey about life on the farm in Franklin County. ValleyLocavore: So are you a male or female? Turkey: You talking to me? VL: Yeah, I'm looking at you, aren't I? 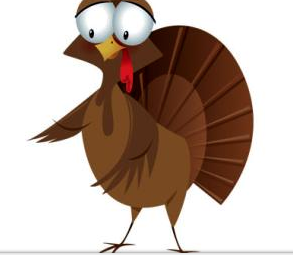 T: I'm a tom, a male turkey, also known as a gobbler. They named an entire country after me. Ever been to Istanbul? VL: I'm doing the interviewing here. So tell me about the farm. VL: How did you learn to talk? T: How did you? I'm up in Wendell right now at a turkey farm where they sell chickens, pies, turkey pot pies and eggs, plus some other local stuff like cider donuts. VL: What's a typical day like for a free range turkey? T: Get up early, do some reading. I like Michael Pollan. Go out and range a bit with the other birds, eat some feed, drink some spring water, go online. VL: You seem to have a lot of time on your hands. Are you free ranging? T: We're in and out of the "free-roam" coop. I can't complain. T: Not bad. I get out, but nobody sees me. VL: What do they feed you? T: We get water from a spring in Wendell, grain and some corn from Williams Farm in Deerfield. No growth enhancers or hormones. VL: So you guys go for over $3 a pound, whereas a supermarket turkey is under a dollar a pound and sometimes turkeys are given out free at work. T: Where do you work? VL: Back in the day, factory workers were given a turkey every Thanksgiving and every Christmas. T: Yeah, and they sold mashed potatoes at the automat. T: I'm just glad I didn't make the cut this year. VL: How come you didn't make the cut? T: I hid under an old Ford out back where I can pick up wifi from the neighbors' house. VL: Nice. Don't they count the birds before slaughtering them? T: It's called "dressing." No time for that… around the holidays it's pretty busy and they run this place very well. You might want to read some Michael Pollan if you want to learn more about turkeys and how food is produced in general. VL: I've heard of him. Didn't he write about being an omnivore? A skinny guy, looks kind of like a tur—..skinny guy? T: Michael Pollan teaches journalism at Berkeley in California. He wrote The Omnivore's Dilemma in 2006 and then this year he wrote In Defense of Food. The first book explains what it is we're eating by looking at four ways to eat: industrial food— McDonald's, for example—organic food, alternative food, and foraged food. The other book is a straight-talk approach to figuring out what to eat. He says that we should eat food, not too much, mostly plants, and don't touch anything your grandmother's never heard of, like "whole grain white bread" or "tofurkey." VL: Why do eaters need a manifesto? I like to forage as much as the next person, but "manifesto" is a fighting word. T: Pollan calls it a manifesto because we have to take food, literally, into our hands and out of the hands of agribusiness, factory farming, the "man," whatever you want to call it. That crap will either poison you or make you fat or both. T: I'm a turkey, a tom. If you want to hear a bedtime story, talk to a Butterball. VL: Right. If you had to use one word to say why local turkey is better than Butterball, what word would that be? VL: In terms of slaughter? T: "Dressing!" And, no, that has nothing to do with it. 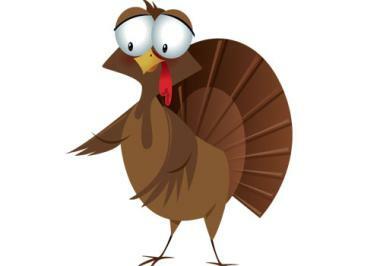 When turkeys or any animals get a lot of exercise, the blood is closer to the bone, which makes the dark meat. And that is where the flavor is. With the snowy white breast, there's not so much taste, not to mention it's squishy. But the dark meat… that's where we keep it real.